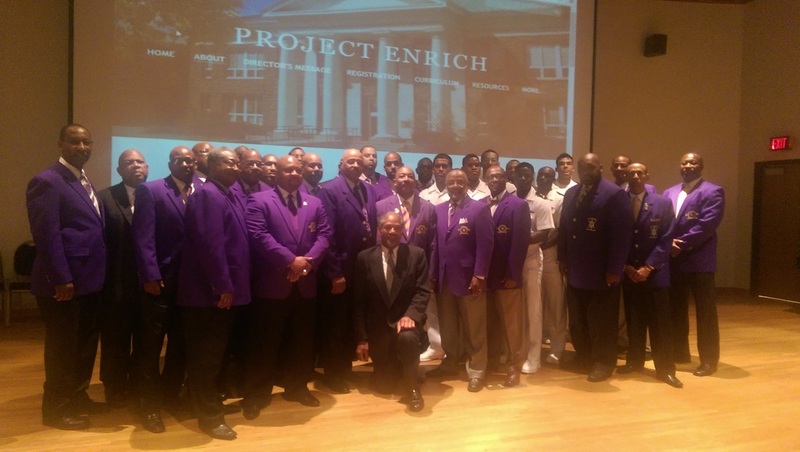 A program of the Gamma Pi Chapter of the Omega Psi Phi Fraternity, Inc., the award-winning Project ENRICH program recruits, interviews, and mentors young men and women from the 9th through 12th grades to prepare them for college. Our curriculum is designed to expose students to industry professionals, college professors, student advisors, and graduates of Project ENRICH that will aid them in meeting their educational and financial needs towards obtaining an undergraduate degree. The Men of Omega Psi Phi Fraternity, Inc. uphold Scholarship as a fundamental principle necessary for achieving success in life. Project ENRICH is the vehicle by which we connect with the youth in Prince George's County, Maryland to promote and provide opportunities that will help to prepare them to seek and obtain a college degree. Each year Project ENRICH in association with Omega Psi Phi Fraternity, Inc.'s Gamma Pi Chapter and the Charles R. Drew Memorial Scholarship Fund (CDMSF) Program sponsors and awards more than $20,000 in scholarships to students entering and returning to college. The scholarship is open to all graduating high school seniors or continuing higher education students residing in or attending a high school in Prince George's County.